Smear some green icing on top. 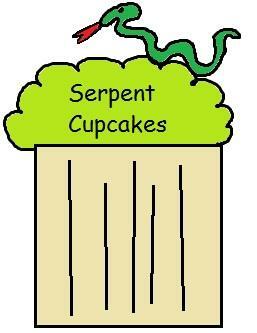 Put small plastic snake on top. 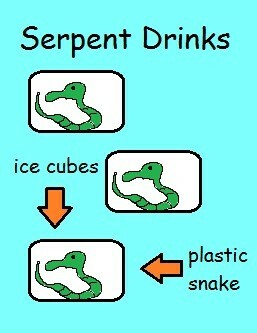 Drop one small plastic snake into the ice cube tray. Freeze them and then put them in a cup with some juice for the kids. Once again make sure the smaller kids don't eat them, and choke on them.